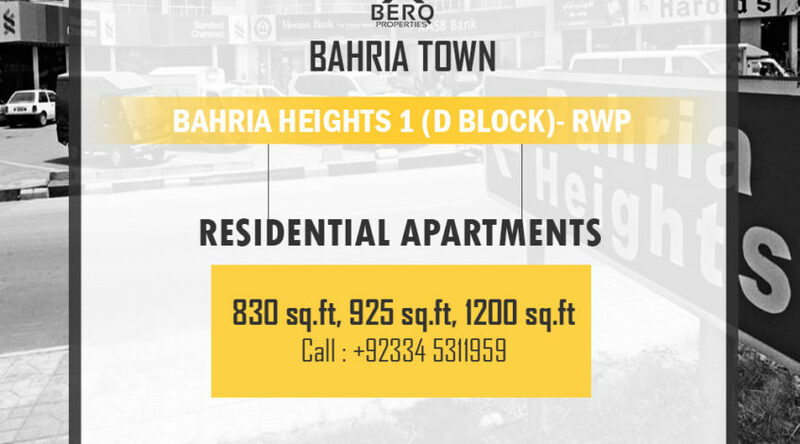 Bahria Heights 1 (Block D) features exclusive one and two-bed apartments. These apartments are equipped with the most advanced infrastructure and amenities required for daily living in easy reach. This is the best urban living option for small families aspiring to reside in a well-established community with completely modern amenities. • Size of Apartments ranges from 1001 sq.ft to 1822 sq. ft.
Asides the standard features of Bahria Town such as parks, Mosque, and club. * Installment after every 3 months (Quarterly).